25 DIY Farmhouse Decor Ideas! 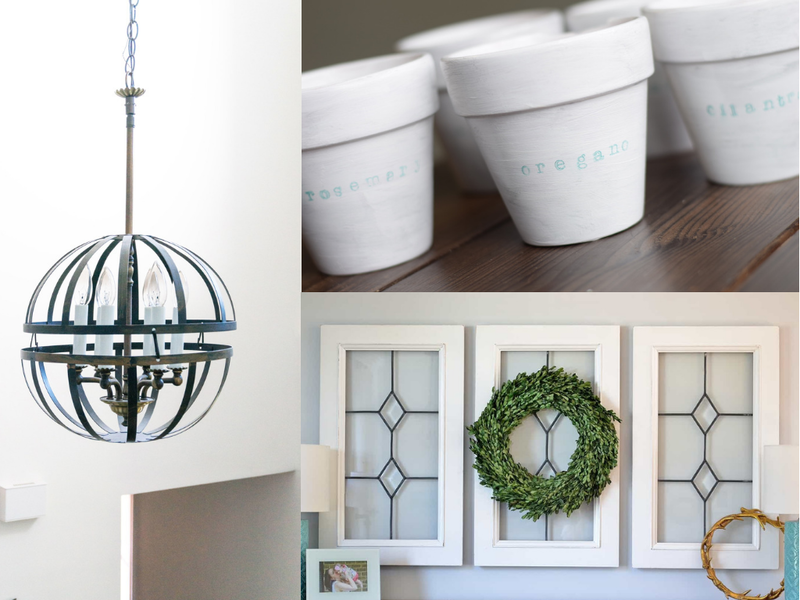 Are you looking for some great ways to incorporate farmhouse decor into your home? Are you wanting to create a peaceful environment in your home full of rustic charm? 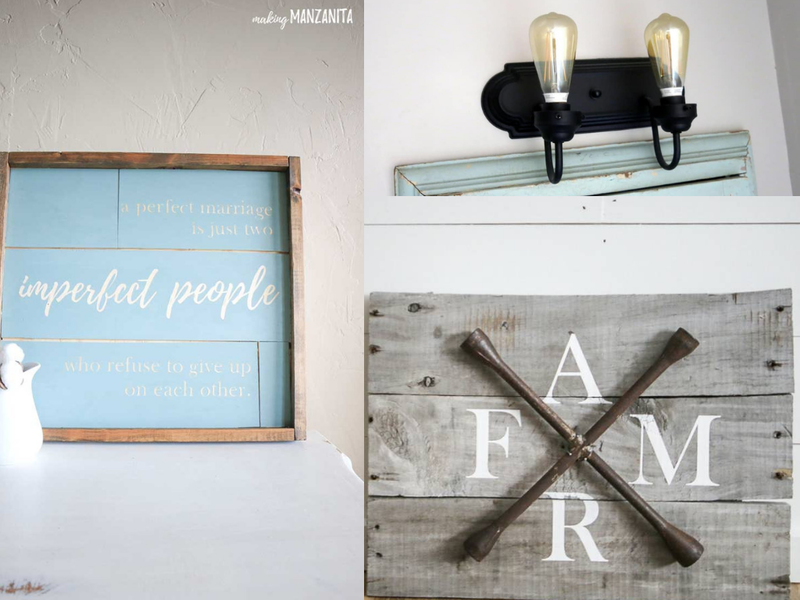 Then check out these 25 DIY farmhouse decor ideas! I love the Calm and relaxing tones that go with farmhouse decor! I also love how it can make your home feel so organized and chic while being simple and rustic at the same time! 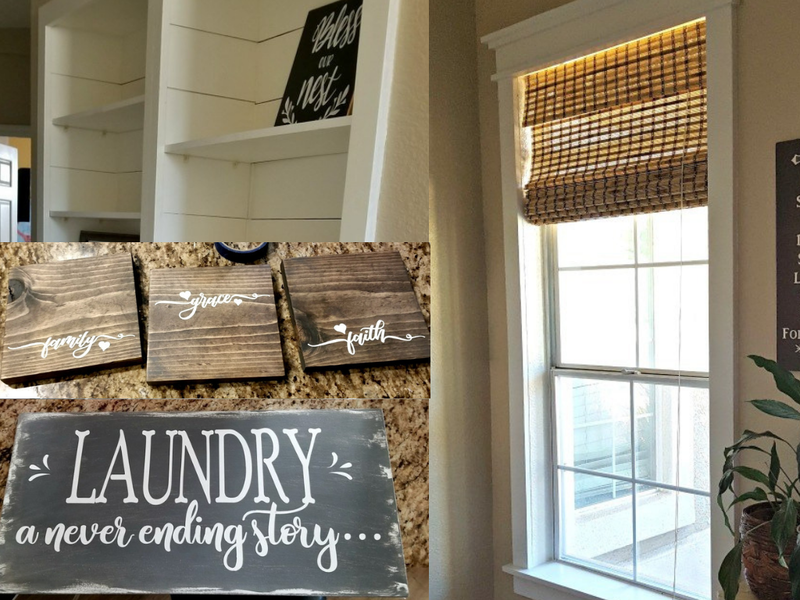 I have found 25 beautiful farmhouse decor ideas that you can make yourself! I love all of these projects and I know that you will too! This is a very simple DIY project that makes such a big difference! How cute are these?! Cheap farmhouse decor ideas are great for decorating on a budget. Instead of purchasing something new, why not makeover something you already have?! I would never have though to do this! Isn’t that a great idea?! These drop cloth curtains are perfect for incorporating farmhouse decor into your home! Not in love with your dining room table? Don’t worry, we can fix that! Simply follow these instructions to have a brand-new farmhouse style table in no time! I really need to do this in my kitchen and pantry! Why not bring some farmhouse style to your organization? 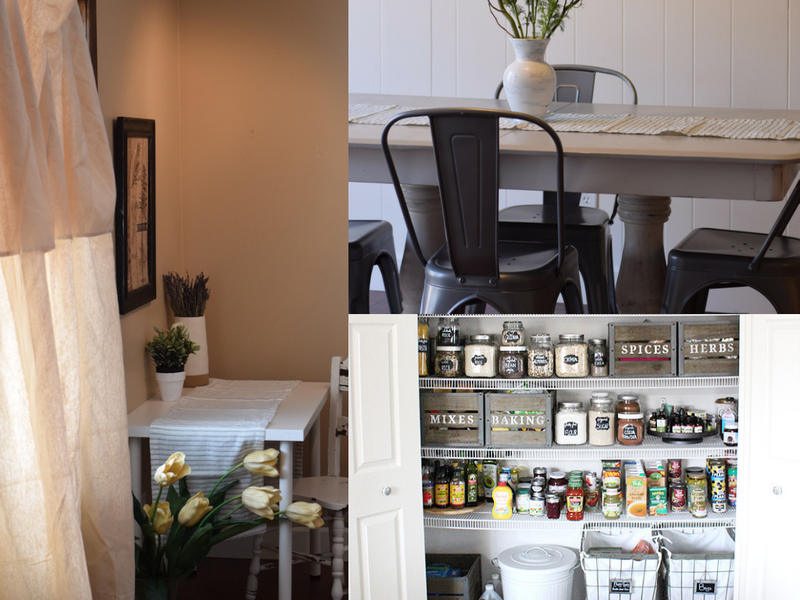 This pantry looks awesome! These definitely say farmhouse decor! And what a great item to use to organize not only your pantry but any shelf in your home! Why stop with kitchen organization, carry the farmhouse organization theme to the desk as well! These dining room shelves are easy to make and look amazing. What a great way to display those antique dishes! I can just visualize some of my milk glass collection on these shelves! Bring the farmhouse decor to the bathroom as well! Replace that modern medicine cabinet with a vintage option like this! Shiplap is a very popular farmhouse decor. This faux shiplap is cheap and easy to make, but looks amazing! 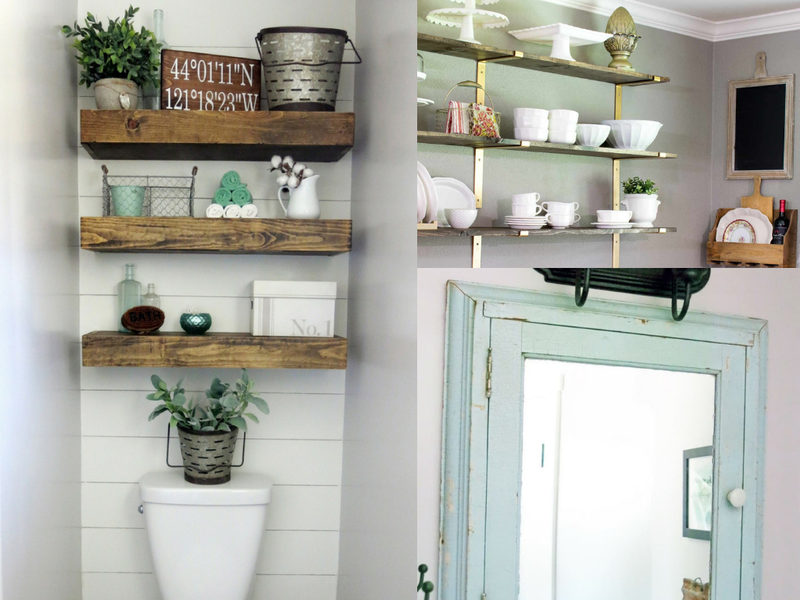 Add some rustic floating shelves to your shiplap walls for even more farmhouse decor charm! I love this tiered stand! 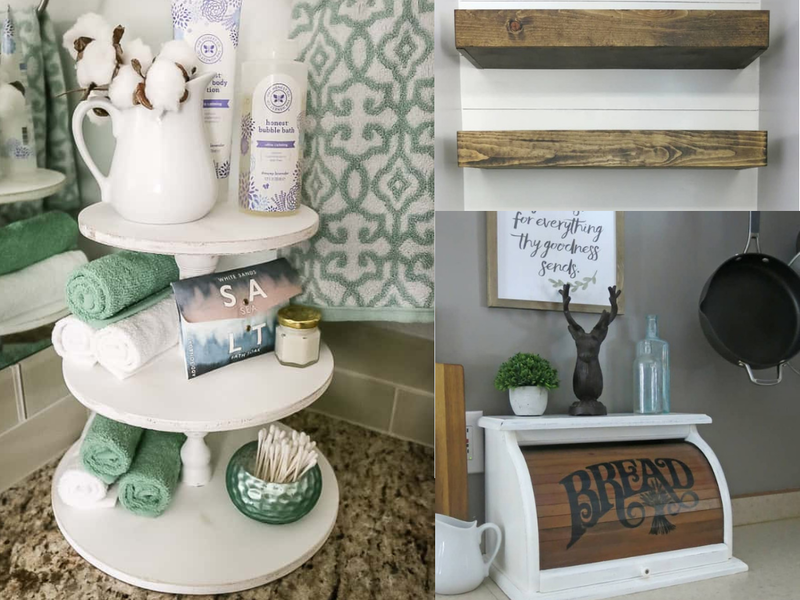 What a great idea to hold all of your bathroom items, especially in a guest bathroom! This shiplap sign is an easy way to incorporate shiplap if you don’t want to redo an entire wall. Simply hang it in a frame with your favorite saying on it! 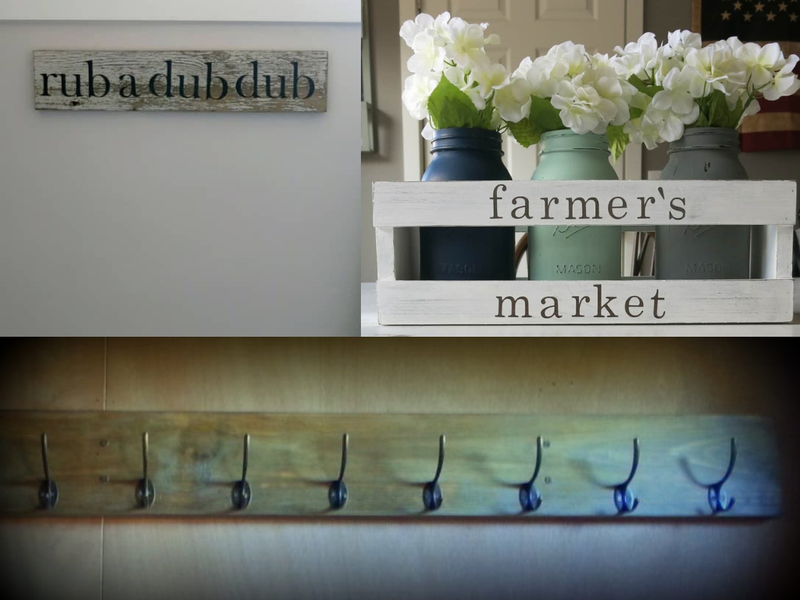 This farmhouse sign is not only easy to make, but a great rustic farmhouse decor idea! I love this idea! Take a builder grade vanity light from ugly to chic by giving it a farmhouse makeover! What a great idea! This bathroom sign is adorable! A very easy to make decor item to give a fun farmhouse feel to your bathroom. This is so pretty! I looooove mason jars! Who doesn’t, am I right?! Make this adorable farmers market farmhouse crate center piece using items you probably already have on hand! This coat rack is a great DIY project that is not only adorable but practical! A great addition to any mudroom! Add your own farmhouse window trim to give your living room a new look! A great way to bring that classic farmhouse feel to your home! I am such a sucker for wooden signs;) I love them and can’t ever seem to get enough! 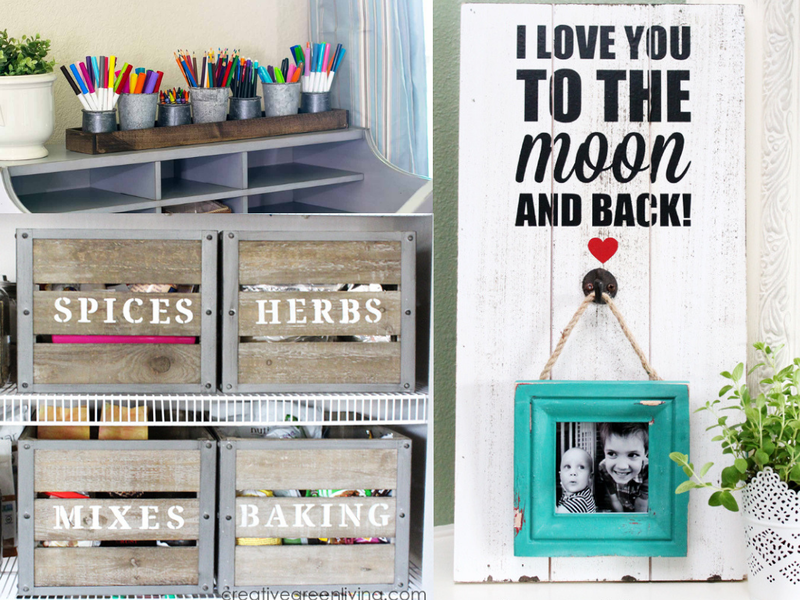 I love the rustic yet elegant feel of these signs! Another great DIY shiplap option! Have extra plywood on hand? This might be the best option for you! Ok, I know, another wooden sign;) But look at it! My laundry room needs this sign! What about yours? 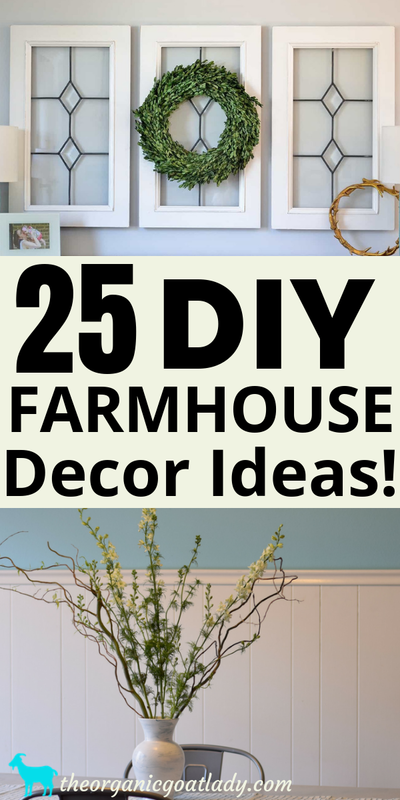 And that is 25 DIY farmhouse decor ideas! Which ones are your favorites? Leave me a comment below and let me know!